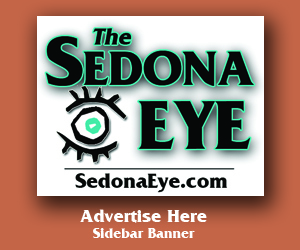 Sedona Eye » National Monument: Let’s Compare Verifiable Facts! 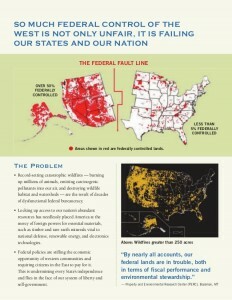 Home » General » National Monument: Let’s Compare Verifiable Facts! Sedona AZ (October 29, 2015) – It is becoming increasingly clear that the Verde Valley has become weary of hearing the incessant drumbeat of “They’re lying, they’re not telling you the facts!” At this point, the undecided on the issue of the National Monument designation proposal most likely can’t decide who to believe…either Keep Sedona Beautiful (KSB) or Arizona Liberty (AZL). So, for those still unclear as to what to think, let’s do a comparative analysis. From Black’s Law Dictionary Online 2nd Ed., the definition of the word “FACT:” A thing done; an action performed or an incident transpiring; an event or circumstance; an actual occurrence. In the law of evidence: A circumstance, event or occurrence as it actually takes or took place; a physical object or appearance, as it actually exists or existed. An actual and absolute reality, as distinguished from mere supposition or opinion. AZL represents big money interests, not conservation values. They’re (AZL) aligned with the Koch Brothers, Donald Trump and the Tea Party. We represent only like-minded residents of the Verde Valley. All the funds spent by the four managers of Arizona Liberty were/are their own personal funds. Additionally, we do all of our own writing, publishing, creation of overhead slide presentations, and produce our own NM opposition handouts, wearing apparel, signs, and bumper stickers. Notwithstanding, KSB pays for its advertising campaign, glossy printed handouts, etc. with money from donors as a 501(c)3 tax-exempt foundation. No one from AZL has ever met the Koch Brothers or Donald Trump, or any mining company executives, or any Tea Party leaders. We’re just two pretty smart and talented Sedonans and two pretty smart and talented VOC residents who are tired of being hoodwinked by KSB. But now the KSB argument in favor of the proposed National Monument Proclamation (NM) has morphed into one of demonization of Arizona legislators and agencies of Arizona State Government, of the AZL professional environmental management practitioners, of educated voters and sincerely concerned residents of the Verde Valley, and, of all the municipal and township Councils of the Verde Valley including the Mayor and five Councilors of the City of Sedona. What you have read in KSB politico Nancy Brown’s Verde Independent article is part of a truly hysterical “sour grapes” response aimed at everyone who made better presentations, presented better incontrovertible expert opinions, recited more hard evidence, and employed more understandable logic than those supporting her rant. Worse yet, her article targets those elected to office who voted on the issue after so much exhaustive and heartfelt deliberation. Does her article not clearly imply that KSB politicos, who presented their case so dismally that they couldn’t garner more than 12% Verde Valley-wide support, have the intellectual eminence to claim that none of the rest of us can think straight enough to arrive at a correct conclusion? KSB is promoting the Sedona-Verde Valley Red Rock Monument (aka NM) designation by Presidential Proclamation. We have presented to the public our 31 “Preliminary Management Recommendations for the Proposed SVVRRNM” which are essential to protect the values of the Monument and our (recommendations) must be consistent with the proper care and management of objects (historic ruins and artifacts) to be protected by the Proclamation. All 31 recommendations are predicated upon the assumption that the United States Forest Service (USFS) WILL BE the federal agency which will manage the Monument. KSB Timeline: By November of 2015, [we] will inform the Departments of Agriculture (USFS) and Interior (NPS) and the Presidential Council on Environment Quality of the intent to obtain National Monument designation. By November of 2015, [we] will inform the Departments of Agriculture (USFS) and Interior (NPS) and the Presidential Council on Environment Quality of the intent to obtain National Monument designation. This single sentence reveals a fact that KSB intentionally never mentions to the public. Since the entirety of the KSB National Monument Proclamation proposal is built upon the assumption that the USFS will be the Monument manager, then why does KSB subtlely drop in the words “and Interior?” Is the NPS going to be the Monument manager rather than the USFS? Nowhere is it mentioned in the KSB NM proposal that Sedona and the VOC can’t endure any more traffic congestion occasioned by greater hordes of tourists since we only have two paved passages into the area, State Routes 89A and 179. To make matters worse, entrance to Sedona from the north on 89A is further congested with traffic from Slide Rock State Park by people who are just forced to pass through Sedona and aren’t Sedona-bound tourists, while people coming from I-17 northbound are still channeled into a tortuous “one lane each way” funnel that barely moves on a weekend day. How will the NPS resolve this potentially catastrophic problem? KSB’s solution is to provide shuttle-bus parking lots to which the public must report in order to board a shuttle to whatever trailhead from which one would like to start his/her hike. Is this how the Feds will protect our community values? City of Sedona AZ Councilor Angela LeFevre, ardent proponent of the Sedona Verde Valley Red Rocks National Monument designation by President Obama, was the only council vote in favor of supporting any National Monument proposal during an October 2015 city council meeting agenda vote. A recent newspaper poll indicated over 80% oppose a national monument designation. President Obama would be asked by a small local 501(c)3 group to take control of local lands, towns and city by Executive Order under the 1906 Antiquities Act. The National Monument Proclamation will prevent capricious land trades. There are several mechanisms available that can prevent lands trades at the state level, such as Conservancy Fiduciary Trusts like those used in the eastern U.S., notwithstanding that National Monuments can be partially or in their entirety rescinded, anyway, as has happened at the Grand Canyon. Meanwhile, the current Amendment 12 Resource Management Plan that the USFS operates under only allows for another 300 acres to be traded of the proposed 160,000 acre NM. Federal Land Resource Management is the only guarantor of safe and sound land resources management. Paralysis by Analysis and Management by Litigation characterize federal land management while handcuffing local land resource stewards which results in one-size-fails-all consequences for western communities, and our nation. Meanwhile, Federal land management is demonstrably catastrophic. In a Forbes Magazine article dated 4/07/2009 by Terry L. Anderson and Reed Watson entitled “Public Land Mismanagement,” it is stated that “Decades of fire suppression by the Forest Service have disrupted natural fire cycles and turned many western forests into tinderboxes waiting to burn. Dense stands of spindly deadfall and underbrush now occupy land once characterized by open savannahs and large, widely spaced trees. One result is larger, more intense fires that burn the publicly owned forests to the ground. Indeed, by the Forest Service’s own estimates, 90 to 200 million acres of federal forests are at high risk of burning in catastrophic fire events. Bans on thinning and salvage harvesting have not only exacerbated the fire danger in public forests but it has also left them more susceptible to disease, insects and high winds…” Haven’t we seen the proof of this assertion right in front of our own eyes in the Rodeo-Chideski fire, the Wallow Fire, and the Brins Mesa and Slide Fires? The Federal Management Agency, once the National Monument Proclamation is signed, will have probable assured federal funding…or sufficient donations. New National Monument designations require increased budget funding…but, the USFS and NPS, together, have an $11.5 billion budget deficit and a 5 year backlog of still-to-be-done wild lands infrastructure repairs awaiting. Existing property and water rights, as well as regional governance authority, will NOT be affected by the National Monument Proclamation. AZL has addressed dislocation of senior water rights, in six articles right here at SedonaEye.com by this writer and two by venerated environmental researchers, as well as, the risk of invocation by the Feds of encased and extraterritorial inholder’s rules, not to mention the issue of who will have police authority if the inholder’s rule is invoked? States involved in the Sagebrush Rebellion (what lifelong westerners call their movement to get federal lands returned to the states) are NOT sovereign, trustworthy and competent while the Federal Government is altruistic, philanthropic and demonstrably competent. States involved in the western Sagebrush Rebellion ARE Constitutionally Sovereign. See www.tenthamendmentcenter.com. Our Congressional Representative will present the KSB proposed NM designation Proclamation to President Obama. Before our Congressional Representative can present the KSB proposed NM designation Proclamation to President Obama there are submission requirements that must be completed and attached to it by KSB. AZL checked with the USFS and the NPS to find a “KSB submitted” boundary survey and AZL checked with the National Register of Historic Places for a KSB submission of an inventoried antiquities list and have found that nothing has been submitted to either by KSB. Therefore, if the USFS or the NPS doesn’t know what the KSB proposed NM boundaries are or what the antiquities are that KSB wants protected, then KSB must NOT have determined what the Monument boundaries or antiquities to be protected will be either. Then, doesn’t that raise the question, how can our Congressional Representative Ann Kirkpatrick present the NM Proclamation proposal to President Obama for issuance of a Proclamation that doesn’t have an attached defined boundaries map and a list of inventoried antiquities? Therefore, the KSB NM proposal to date, 1.] has no defined NM boundaries, 2.] no proof of which agency will be the Monument manager, thereby invalidating their basic premise upon which is predicated all 31 recommendations (not facts), and, 3.] has no National Register of Historic Places completed antiquities inventory accounted for either. And, since nothing will change, then by extension, ALL the facts have been revealed to the public. And, if nothing will change, then by extension, ALL the facts haven’t been revealed to the trusting public since not a single fact relative to any downside risk mentioned herein has been mentioned by KSB, meaning the untruthful implication is that there are no downside facts! 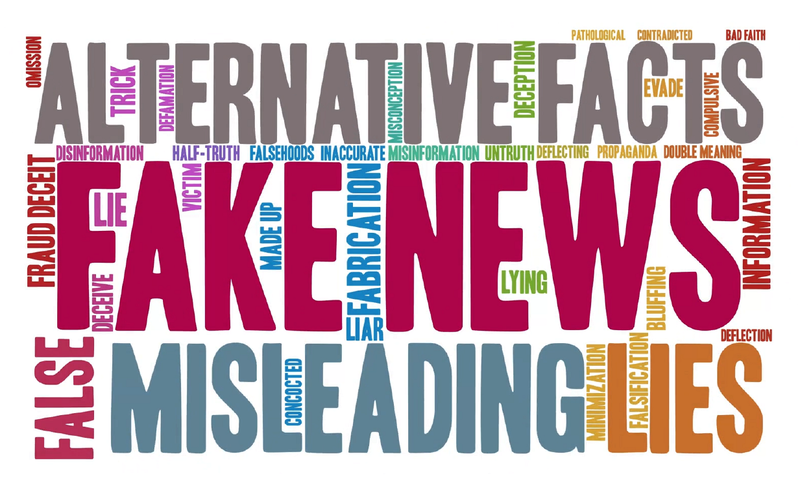 So Arizona Liberty asks the reader to again look at the legal definition of the word “FACT” and then ask himself/herself how the so-called fact presentation of the proponents/opponents of the Sedona-Verde Valley Red Rock National Monument issue stack up against one another? Sorry Kim, out of town last two weeks, so what did I write ? Watch this timeless speech from Charlie Chaplin which couldn’t be more relevant today. Taken from his 1940 movie The Great Dictator, Charlie delivers a hair raising speech that we should all take a moment to think about! The man famous for not speaking, comes up with one of the greatest speeches ever. It really fits what is happening in Sedona. I don’t have to name names. I constantly email this web site to all my contacts, because I like to read it and want my friends too. To the persons with negativity, read it to learn. Thanks J. Rick And Eddie for your hard work and research. Even if KSB changes their mind and decides to not send their idiotic proposal to the Dept of Interior it won’t matter. Just getting it anywhere near Obama will mean death to Sedona. It appears to me that most people are unaware that the head of the USDA or Dept of Agriculture, which runs the National Forest Service and is the organization of choice for KSB, was the president of Monsanto. The man who brought us GMO’s, Phosphates and so very many harmful chemicals to us in our food and natural resources. Why doesn’t that make people nervous or concerned about the fate of our town? Dept of Interior, Dept of Agriculture and President Obama? I intend to do whatever I can to stop these self absorbed, self serving organizations OUT of MY TOWN! And for the previous posters who complain about the Tea Party, you can name call and say what you want, and make it sound like people that want to defend to constitution are crazy, but there are more of us than there are of you and sticks and stones….. I hope those that are STILL pushing the National Monument are paying attention to what is happening now in Oregon. If KSB is asking for a fight, the current mood of the citizens will give them one. Just heard from a reliable source that the paperwork for a National Monument is being readied for Obama’s desk. How is this happening? How can we make it STOP? “To paraphrase Mark Twain, “The reports of our death have been greatly exaggerated.” The effort to establish the Sedona Verde Valley Red Rock National Monument is alive, well, and stronger than ever. We will get this done! The Steering Committee of the Coalition for Permanent Protection of the National Forest of the Sedona Verde Valley Area (Coalition) is reaching out to a wide range of area stakeholders and citizens for more input and suggestions for a National Monument Proposal. This update is to inform you of changes made to the Proposal from input received and to invite you to support our efforts to be inclusive and thorough in crafting the final stages of this permanent protection plan. The challenges of our time tend to bring out the best in our local citizens and environmental organizations and we are eager to hear from you. Monument Size – The 80,000 Acres of the Wilderness Areas have been taken out as they already have a higher level of protection than a National Monument designation can provide; the new proposed size of the designation area is now just approximately 80,000 acres. 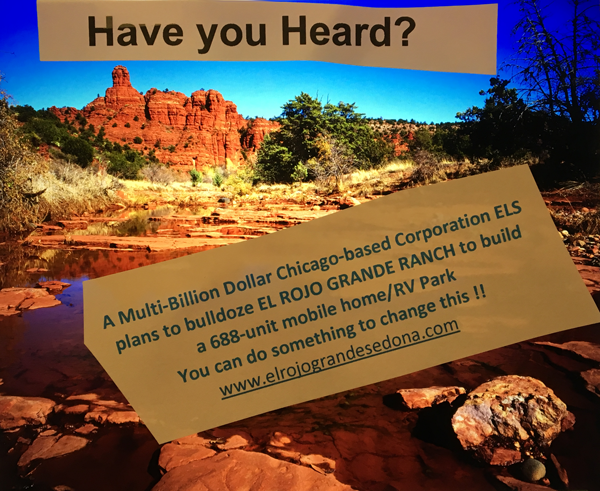 Support – Our grass roots citizens’ support keeps growing; as of this date, we have surpassed our initial target of 10,000 petition signatures of support; 4,000+ of these are from the Sedona-Verde Valley area, and an additional 4500+ from elsewhere in the state of Arizona. Our new goal is 15,000 signatures. Clarification of outlawing the exchange or sale of Forest land of the Monument. The proposal now includes mention that the Townsite Act remains in effect. The Townsite Act* allows the sale of Monument lands for townsite purposes to counties, cities or other local governmental subdivisions and is limited to the eleven contiguous western states. Majority of the AZ public wants the public lands protected. In the recent 2015 Colorado College poll, 65% of Arizonans support permanent protection of their public lands. Sedona Community Plan – The 2014 Sedona Community Plan, voted on by the electorate, called permanent protection of the Forest one of its highest priorities. • Permanently protect the world-famous, antiquity-rich National Forest lands of the Red Rock Ranger District’s National Monument, now the most visited Forest District in the USA. • Grant all access, permits, rights and recreation currently enjoyed in the Forest, with then as now, USFS regulations needed to protect its environmental conditions. Help us save this extraordinary ancient Forest land before it’s too late! The Native Americans who once resided here regarded the Forest as a sacred place; it still is. (a) A Forest Service official may, upon application, set aside and designate for townsite purposes up to 640 acres of National Forest System lands adjacent to or contiguous to an established community in Alaska, Arizona, California, Colorado, Idaho, Montana, Nevada, New Mexico, Oregon, Utah, Washington, and Wyoming. I was in the barber shop today, I picked up a copy of the Sedona Red Rock News. 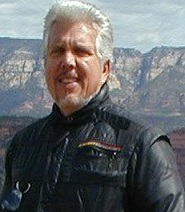 In an article on the cover Patrick Schweiss, the Director of the Sedona Film Festival, related by marriage to the Larsons, owners of the Sedona Red Rock News spoke of his experience with a resident who called him and complained about the parking during the film festival. Mr Schweiss told the resident, who was formerly from Austraila, that if he did not like Sedona traffic he should move back where he came from. It would be humorous if not for the fact the City of Sedona, meaning you, generously give over $250,000 to support the Sedona Film Festival on an annual basis. Those who take your money will tell you if you don’t like it move. Thank you for your insightful comments which the vast majority of the the anti-SVVRRNM residents of the Verde Valley appreciate. Angela LeFevre is, once again, typically misguided or misinformed and prefers to slap the vast majority of Arizonans in the face. 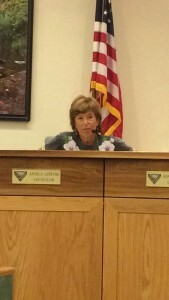 She was elected to the Sedona City Council on the promise that she would serve the local interests of those who voted for her. Then, having totally screwed up in her effort to lead the movement towards getting Obama to sign, by Executive Order, the SVVRRNM declaration into law she resigned from Council in a temper tantrum, thus betraying her solemn promise to her supporters. This is what she does! But, her excuse, published by the Red Rock News, was that she had to resign her Council seat due to doctor’s orders. But, a few months later she’s at it again. What she doesn’t seem to understand is that Congressman Gosar has resurrected the 1884 Anti-Deficiency Act [U.S. Code Title 31 Section 1341 – Anti-Deficiency which has NEVER been overturned by a Fed Court ruling] which prohibits federal agencies from obligations or expending federal funds in advance or in excess of a Congressional appropriation [of funds], and from accepting voluntary services. And Gosar has the votes on the Appropriations Committee to deny funding. In other words, any Executive Order by Obama for the enabling of SVVRRNM will NOT be able to get any enabling funding requested by The National Park Service, the BLM, the USFS or any other federal agency without a formal House approved appropriations bill which, if denied by the House Appropriations Committee, will negate the President’s Executive Order. This is the real reason that Ann Kirkpatrick doesn’t want to support Angela’s continuing effort. I have met will Rep Gosar face-to-face to discuss this and I will promise you the Republicans of our Congressional delegation are thoroughly prepared to shoot Angela’s effort down. She, once again, will let down those supporting her financially and those working in her revived effort to bring about the SVVRRNM. How could she be such a fool as to think that our Arizona Liberty Group (Mike Schroeder, Dwight Kadar and me) would just go to sleep after she left the Council? Nope! we are awaiting her and are stunningly well prepared to cause her to meet the same end as before! Oh by the way….. Why don’t you throw your ego into the next council/mayor race and see how you get smashed? Thanks for the update Rick. I really appreciate it and the hard work you are doing to keep tyranny from our Red Rocks. All these accusations. Give us your real name !! Show how proud you are of your position. Why don’t you throw your ego into the next council/mayor race and see how you get your true nature exposed and yourself further humiliated. How many positions have you held where you were either not replaced or shown to the door? You have been passed over here many times also. Your are a coward, sociopath, and hypocrite of the worst kind. Give us your real name !!! We’ll see it gets published. You may want to come out before a special article is done on you. B Larson? That’s your real name? I doubt it…. West Sedona Resident has what all psychologists would identify as a severe “envy” problem relative to those who are smarter and more successful than this person. Yes, WSR, you have Obsessive-Compulsive Personality Disorder. Jealousy, envy, secret worship, craving and idolization of those you can’t be like is expressed as hatred projected towards what you desperately want, but can’t have. Now go back and hide underneath your rock of cowardice. Meanwhile, the rest of us should have compassion for WSR who has no life whatsoever. And, WSR, please stop ogling this writer at the gym! You’re creeping out everyone there. All I see is a overweight, pathetic, overblown sense of self guy who most likely like Ted Cruz got beat up a lot as a kid. Hey when and how long have you’ve been a member of the Tea Party with you conspiracy theories and your BS rhetoric. Those blazers you wear to city meetings do not hide how big your as is getting. You saying to someone else “All I see is a overweight, pathetic, overblown sense of self.” Is about the most hilarious thing I have ever heard. Time for you to come out dear. We all know who you are. Your 11 email is priceless and will never be forgotten. I’m a registered Independent, and therefore, can’t be associated with the Tea Party. OMG, you’re ignorant. Let’s hope you’re right, JRN. It looks like there’s going to be a shoot-out at the OK Corral at high noon over the Sedona Verde Valley National Monument. The Steering Committee of the Coalition for Permanent Protection of the National Forest in the Sedona Verde Valley Red Rock Area announced Wednesday that it has submitted a proposal for national monument designation to the President’s Council on Environmental Quality and, as is customary, to the Departments of Agriculture and Interior, in Washington, D.C.
All I can say is that they have a LOT of G.D. nerve to submit this after 80% of the population stands against it!. The fight is ON!